Cecil the lion’s death just outside Zimbabwe’s Hwange National Park put a recognisable face on the difficult problem of setting policy for lion hunting. Conservation biologists and wildlife managers have been grappling with the issue across sub-Saharan Africa. But there is no one simple answer. Trophy hunting can be used to generate revenue and promote the protection of ecosystems. These might otherwise be converted to agriculture, accelerating the continent’s rapid loss of wildlife for reasons that include habitat conversion and fragmentation. On the other hand, lions are both rare and highly coveted by hunters. Field studies consistently show that lion numbers in Zimbabwe, Zambia, Tanzania, Cameroon and Mozambique have declined with over-harvesting – which is excessive numbers lost due to trophy hunting. This has occurred despite scientific guidelines to promote sustainability. 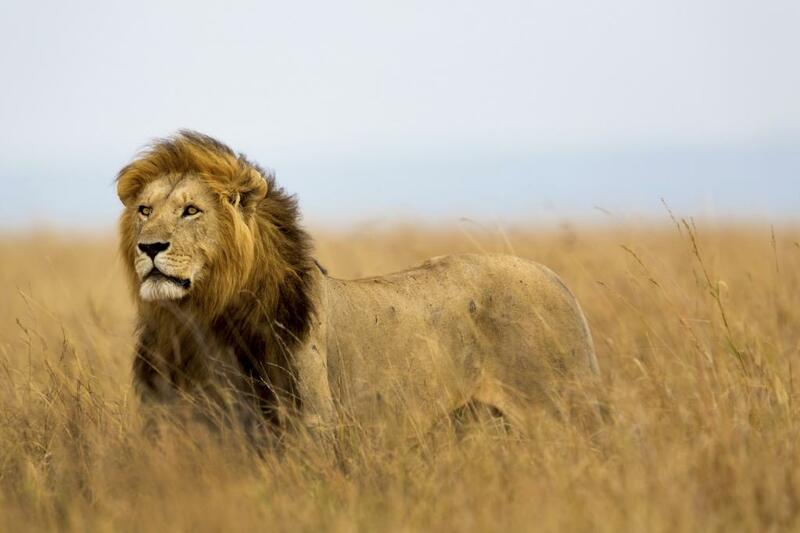 Lions, and their habitat, have declined by 70 per cent over recent decades. This is due to a combination of habitat loss and fragmentation, decline of prey numbers, snaring, human conflict, retaliatory killing and excessive legal hunting. Most nations have a network of protected areas, including national parks that do not allow hunting and game reserves or game management areas that do. Given that the status quo is not working, what can be done to save the king of beasts? That is the question our recent study involving scientists and managers at the Zambian Carnivore Programme, Montana State University and the Zambian Department of National Parks and Wildlife attempted to answer. The current strategy for sustainable hunting of lions is known as age-restricted harvesting. This is where only male lions above a certain age, typically six years, can legally be shot. In theory, such a system can be sustainable. This is because old males form a small part of most lion populations and these old males have often been ejected from prides by younger and stronger males. In practice, there are problems with identifying a male’s age just by looking at him. There are also challenges enforcing age-based rules. A more fundamental problem is that existing guidelines were based on patterns in a very well-protected, growing lion population in Tanzania’s Serengeti National Park. Most other lion populations face tougher conditions. Our study aimed to determine whether lion hunting can be made sustainable for populations facing more typical challenges, including low prey numbers and the risk of being snared. These challenges are almost universal at this point for large lion populations in major ecosystems. Small lion populations in fenced areas tend to face fewer problems, but these populations are all small. We projected population dynamics for African lions 25 years into the future, both without hunting and under a range of hunting scenarios. We used mathematical models that were based on seven years of data from lions in the Luangwa Valley, home to Zambia’s crown jewel, the South Luangwa National Park. The scenarios we considered included maximum quotas for hunting blocks, age restriction, hunting periods punctuated by recovery periods with no hunting, and combinations of these strategies. Our analysis is based on hunting blocks located adjacent to a fully protected national park. This is often the case in the real world, with lions moving regularly between protected and hunted landscapes. Many people might consider the death of Cecil a few meters from a national park boundary to be an anomaly, but our analysis found that lions were typically shot less than a kilometre from the park boundary. This is well within the normal range of movements of lions living in the park. We confirmed that age restriction is helpful, but most hunting scenarios resulted in a long-term decline in trophy-aged males. This is both detrimental to lion populations and undesirable for hunters if they are concerned with sustainability. The best strategy requires a combination of tactics. The analysis showed that a decrease in the availability of prime-aged males is minimised by the combination of a block quota of one, a three-on/three-off cycle of hunting and recovery, and a minimum hunted age of seven or eight years. In other words, hunting blocks can sustainably be allocated one trophy hunt per year. That is about one lion per 2,000km² of at least seven years old, for three consecutive years, followed by three years for recovery. It is also clear that trophy fees must be increased to account for the reduced quota if hunting is to effectively yield protection of public land. Such an increase could perhaps be paired with paying some portion of the fee only if a lion is shot, rather than paying proactively. This would reduce the incentive to shoot a lion, any lion. Unfortunately, even this scenario is likely to allow a long-term lion decline if the problems of poaching or habitat degradation worsen. Trophy hunting by itself might be sustainable, but not when added to a background of poaching, habitat loss and retaliatory killing. If it does not effectively contribute to controlling the problems of prey depletion and lion snaring in areas that allow hunting, trophy hunting at any level will not be sustainable. Lion hunting cannot continue to rely on drawing lions out of adjacent, fully protected national parks at unsustainable rates, as it recently has. Such a situation is part of the problem, not the solution. With serious reforms to employ a combination of quotas, age restriction and recovery periods, perhaps this slow motion extinction can be reversed. Future generations will judge us harshly if we stand by and let the last lion leave this world.